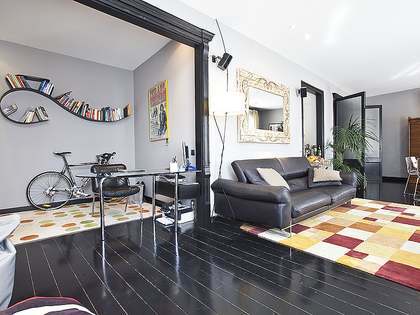 An excellent 2-bedroom apartment for rent on a quiet street in Barcelona's Gothic neighbourhood, in the heart of the Old Town. 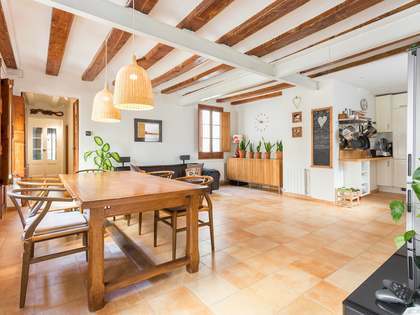 This charming property has attractive wooden flooring throughout and maintains the Catalan vaulted ceiling with exposed wooden beams. 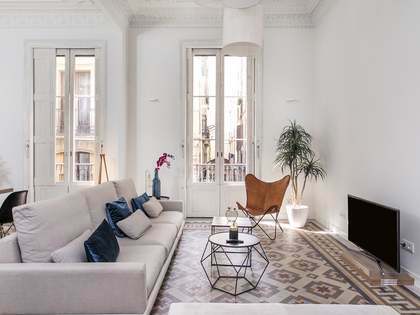 Just a few steps from the famous Las Ramblas and Paseo Colon, this apartment is ideally located to enjoy the city centre to the full. 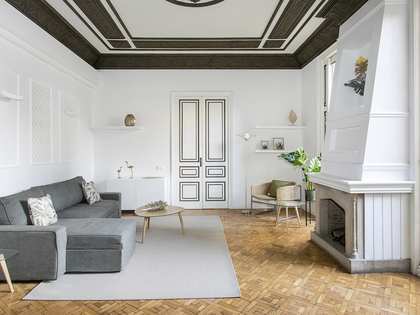 Measuring 110 m², the apartment is both spacious and bright. The particularly large living-dining area has access to the balconies and next to it we find one of the bedrooms with its dressing area. The modern and practical kitchen, together with the second bedroom and bathroom with a shower, are in the other side of the apartment. The second, larger bathroom has a bath tub and double basins. 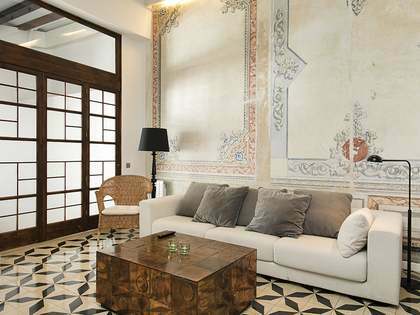 The apartment is within a restored stately XVIII century building with a lift and communal roof terrace. 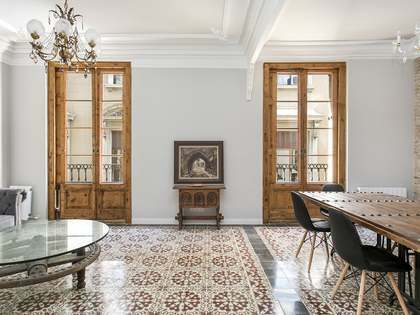 Apartment located in the Gothic neighbourhood, in the heart of Barcelona's charming Old Town, close to Las Ramblas and Plaza Catalunya. The area has an abundance of bars, restaurants and shops and is very well connected by public transport to the rest of the city.